Fisherfolk since the beginning of time have been searching for ways to show off their prize catch – proof that they really did reel in that 1500 lb. bluefin tuna. So what was a fisherman (or woman!) to do before the dawn of the iPhone camera? In 19th century Japan, the answer was simple (although slightly difficult to pronounce) – gyotaku. 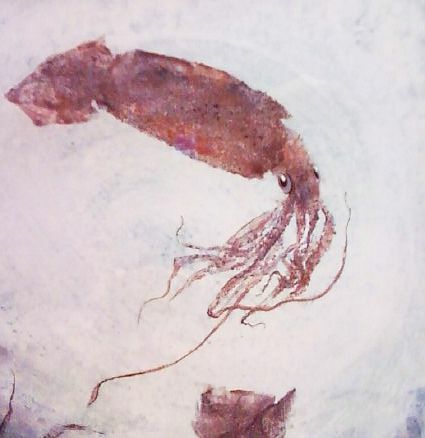 Beginning in the mid-1800s, Japanese fishermen used the technique of carefully applying sumi ink to their best fish, then pressing the fish on rice paper to create an incredibly detailed and life-like print. 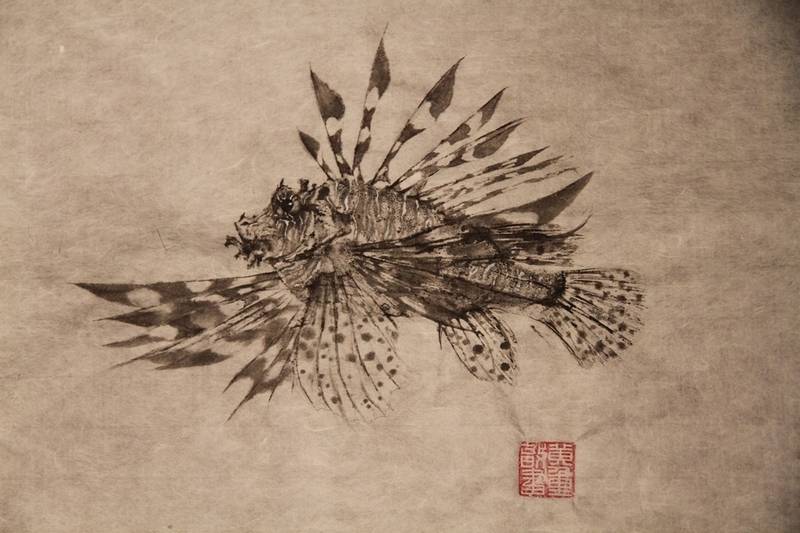 Sumi ink is non-toxic and flavorless, so the fish could still be eaten after the print was made. Historical gyotaku prints provide an excellent record of which creatures inhabited the seas around Japan in years past, and how our oceans have changed. For example, the average fish size has decreased since the 1800s for most commercially fished species. 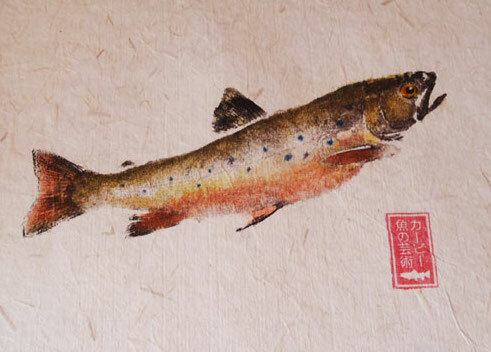 Today, gyotaku artists continue the tradition of fish printing throughout the world. 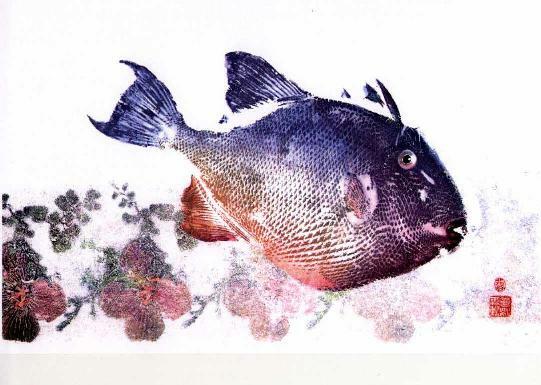 Some now use colored inks to replicate the natural colors of the fish, but others remain true to gyotaku’s roots with classic black sumi ink. We think both are beautiful – enjoy the gallery below.